Assuming you think a double chin is a terrible thing worth curing, obvs. 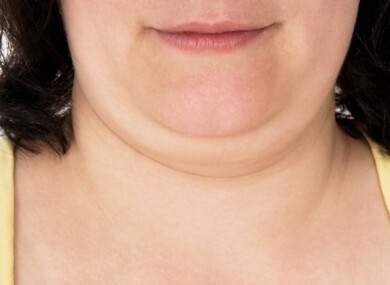 SCIENTISTS SAY they have created a new chemical which could get rid of a double chin, without the need for surgery or dieting. They claim an injection of ATX-101 would kill off fat cells under the chin (known as ‘submental fat’) without any damage to the surrounding tissue. ATX-101 is reportedly a specially-formulated version of a naturally occurring chemical, which helps the body destroy fat. Metro.co.uk reports that the treatment would be far cheaper than liposuction and if the US Food and Drug Administration approve it, it could be on its way over to Europe very soon. The injections have been tested on 1,600 people across Europe and America – the manufacturers say that more than 90% of testers found their double chins had ‘meaningfully reduced’ after two years. Well – would you give it a go? Email “A new injection could 'cure' double chins”. Feedback on “A new injection could 'cure' double chins”.